Drizzy linked up with the Queen of Bounce while shooting in NOLA. 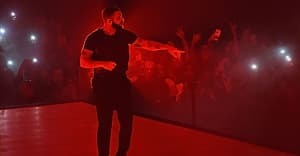 Drake is currently in New Orleans shooting a video for his new single "In My Feelings," which is spending its second week at number one. The new video is strongly rumored to feature a notable guest appearance from the Queen of Bounce herself, Big Freedia, who contributed vocals to "Nice For What," but was not included in its viral music video. She seemed to confirm the news with an Instagram post this morning, sharing a photo of the two with the hashtag #inmyfeelings. Back in April, Big Freedia spoke with The Fader regarding proper credit and the "Nice For What" video. "You know, my voice be on a lot of different stuff and people want to use bounce music as a part of their music but when it comes to the proper recognition of me being in the video, that's something that we're steady working towards to make it happen," she said. "The credits are important but, for me, it's still putting New Orleans on the map and I'm happy with the check."